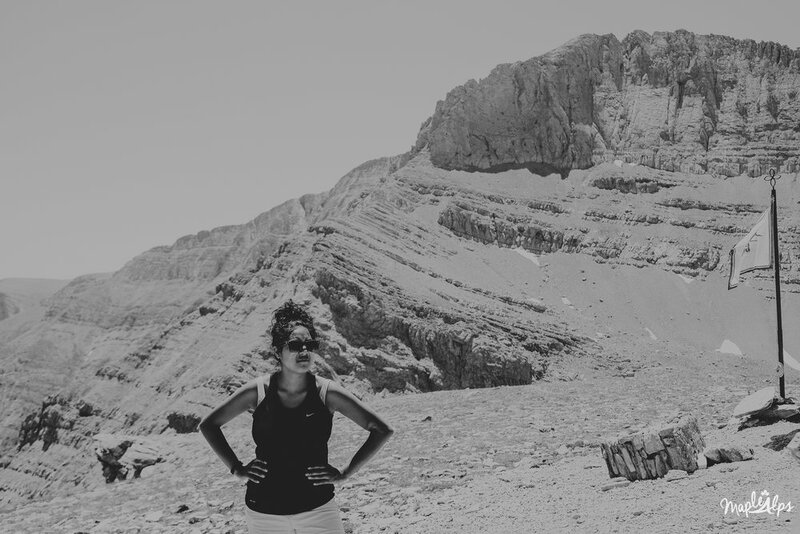 We had the incredible experience of climbing Mount Olympus this last summer. We mostly agreed so that we could have the bragging rights, but it was so worth every sore muscle and every stone we tripped up and down. We started out finding some pools. It was really hot out and they looked so inviting, but as I neared the water, I saw.....A SNAKE!! If you know me, you know that I am TERRIFIED of snakes and right then and there I decided to not go into the water. By this time, it had swum away (probably because I was screaming so loud), but I was extremely paranoid. Eventually, the water called to me - that, and the sun was beating down quite warm on my back. I shed my garments and jumped in. I, of course, got right back out - just in case. We enjoyed a few hours jumping off edges into the pools. We did see another snake later, so I ended my swimming time. My husband did say he was really proud of me for overcoming that fear - but I had a few more fears to conquer before this adventure was over! We continued on our way up but on our way, our car....well, we ran out of gas :) That set us back quite a bit, but help eventually came and we were off! When we finally got started, it was getting pretty late already, but we still had some energy left. We climbed and climbed and climbed - our step count was pretty impressive. We climbed until we got to the place we slept that night. It was really strange sleeping covered in sweat and grime from the mountain, but trying to shower in ice-cold water in the dark was not an alternative we decided to opt for. The sunrise the next morning was amazing though - my eyes were barely open during the whole thing, but I did manage to snap a quick photo. And then we were off to conquer the rest of the mountain! We had no idea what was waiting for us. See those helmets? Yeah, we needed those. Both arms and legs were definitely needed for this stretch. I don't think I've ever been more scared - though getting down was way worse than the ascent. J made it to the top first and was able to snap this. It was so steep...incredible! It didn't help that there were markers along the way where people were remembering those who died doing this....God is good and protected us! We had no idea what we were getting ourselves into! Adventure indeed! The views at the top were worth it, and we even found a treasure box filled with goodies people had left. After hanging out a bit, signing the guest book and having a snack, it was time to descend the mountain. It. Was. Hard. And I wanted to give up so many times. But the thought of jumping into the ocean at the end (and a hot shower!) kept me going. Oh hey, I discovered my FIRST EVER sunburn on the way down! Would I climb Mount Olympus again? Maybe. But next time, I'll be sure to wear more sunscreen and maybe train my legs - walking, and any movement really, was painful for a few days afterward!